Ooooh this tree is so pretty. The alternately arranged leaves are simple, entire (unlobed), and shaped like wee little hearts. Awww. The name isn’t quite right, as the buds aren’t especially conspicuous or red. but the flowers are special. They are pinkish-purple, small, produced abundantly all over the tree –its branches and even sometimes the trunk! The tree blooms in early spring, before the leaves come out. This tree is conspicuous in the understory of woods and in suburban yards, as it produces extremely abundant pink-purple flowers in massive displays. 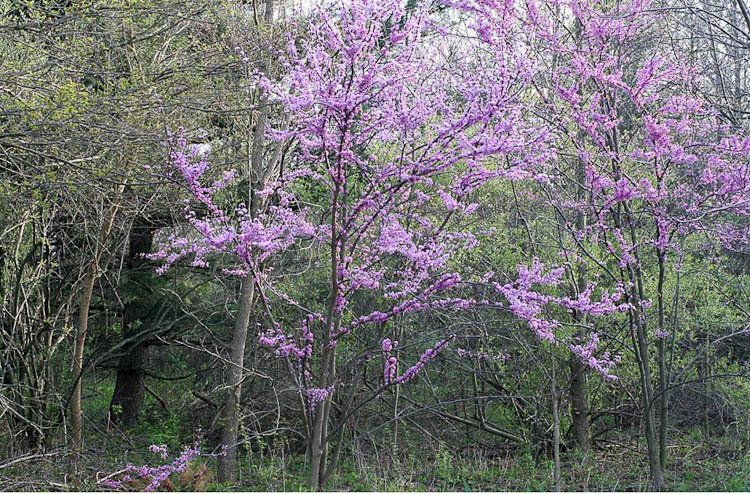 Redbud is a mass flowering understory tree. There’s an ancient an ancient myth involving Judas and an Asiatic species of Redbud, including its supposed effect on flower color. 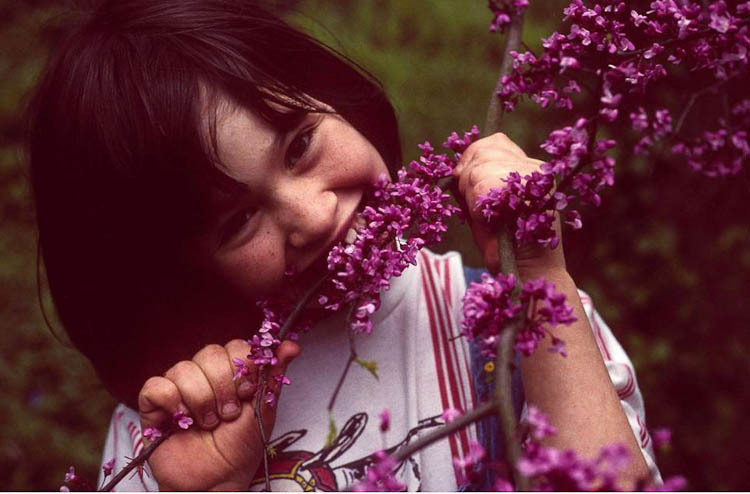 Redbud is also known as “Judas-tree” because the tree’s flowers were originally white, but turned pink in embarrassment after Judas hung himself in the tree. 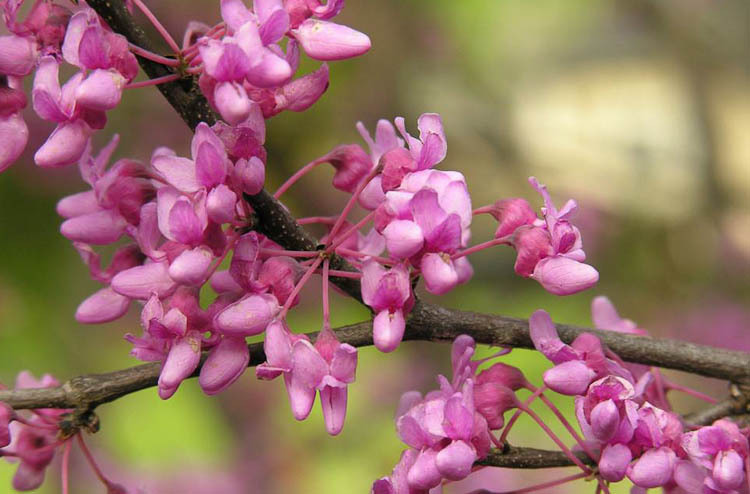 Redbud flowers are similar to those of other leguminous plants. 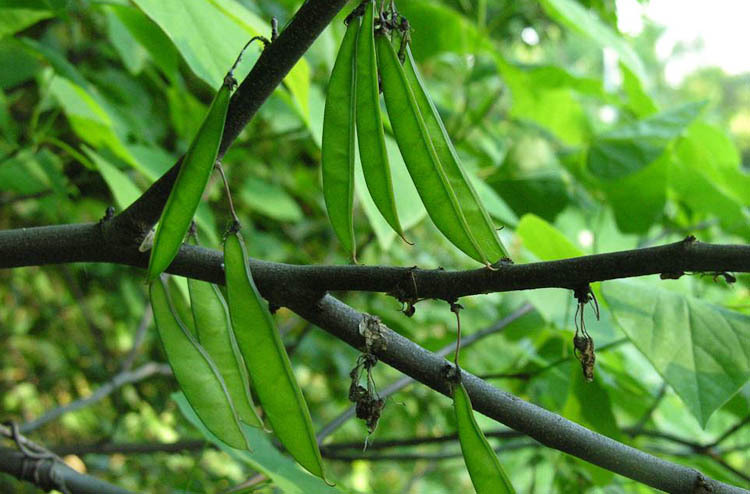 Here’s another clue to the redbud’s close relationship to members of the pea family. The fruits, are virtually identical to garden peas, consisting of a single seed-containing chamber, with seeds arranged along a single line within the chamber. 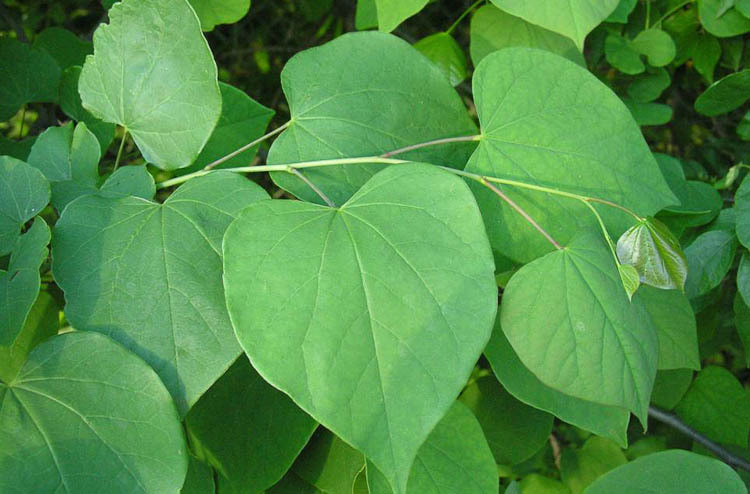 The redbud fruit is a pea-like legume. Fun fact: redbud flowers (not fruit) are edible. Yum, yum! Toss ’em in salads.